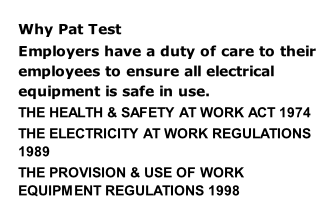 "Steve came to our office out of hours to PAT test all of our equipment. reasonable rates. Will definitely use again. and professionalism in this matter"
Steve, Just wanted to say thank you especially for your prompt response Steve lovely to know there's genuine people still, it's made my Father very happy, will certainly recommend you.once again thanks Best wishes Debs!